According to annual Salary.com surveys, only about half of the workforce negotiates their pay. The reason for this could be that prospective employees are scared of not being hired, while existing employees are worried about getting fired – therefore, they accept whatever is offered. However, those fears are largely unfounded. More than 80% of employers in another Salary.com survey said they always expect workers to negotiate, while nearly all claim they’ve never fired or demoted a person, nor rescinded a job offer, in response to negotiation efforts. Your salary is one of the most important aspects of your life, and you should have input as to how much you earn. Being underpaid affects your lifestyle, your retirement, and your attitude toward your job. Don’t fear the negotiating table – just be sure you’re prepared and know what factors should influence your decisions. Smart salary negotiations begin with research. Websites such as Salary.com, Glassdoor and PayScale provide information about pay, bonuses, benefits, and job duties. With those sites, you can streamline your search by city, experience, and education. Depending on your field, you may be able to get additional information from trade associations. There is no reason to enter negotiations without an idea of the average pay range for a particular job. If you’re changing employment, consider how much you make currently and how much work you have to do. Then, compare your current duties to those required for the position you’re considering. If you’re taking on more responsibilities, consider how much of an increase is fair and reasonable. If you’re contemplating taking less money for more work, scrutinize your motives carefully. It’s one thing to make a level-headed strategic decision, such as taking a pay cut to go from being a server to a restaurant manager. But if you’re making a switch for an emotional reason, such as because you’re upset with your boss, chances are you’ll regret it later. If you’re asking for a raise from your present employer, consider whether your duties have changed relative to when you originally took the position. Do you have more responsibility? Do you spend more time at work? Have you acquired additional skills? Have you become more valuable to your organization? The answers to these questions can help you solidify your case for a raise and remind your employer of your value. When negotiating, factor in special qualifications that put you in a position to bring additional value to a company. If you have desired qualifications above and beyond the average applicant (and the company expects to benefit from those skills), it should be willing to pay up. If you have specialized skills or certifications, research jobs in your specific industry to help gauge the value of your qualifications. For example, ClearanceJobs.com provides insight on the differences in compensation between cleared and non-cleared workers, and Network World sheds light on the additional value of IT certifications. On the flip-side, be realistic if you’re inexperienced or under-qualified. There’s nothing wrong with shooting for a higher rung on the ladder, but if a company is willing to invest time and resources to help you climb, you can’t expect the same salary as a seasoned professional. Calculating your costs of living may be very important if you’re planning to relocate to a more expensive city for a new job. Expenses such as childcare, food, transportation, and home heating vary a lot from one city to another and can take a serious bite out of an ill-negotiated salary. Make a checklist of your expenses, such as rent, car insurance, and groceries. Negotiate a salary that allows you to live comfortably and stash away savings, but don’t use your bills or lifestyle demands to justify your salary request. Rather, focus on citywide data. For instance, if you expect to need an additional $500 per month to rent an apartment in a new city similar to your current home, request that your salary reflect the increase. To assist your determination of a fair salary, use a cost-of-living calculator such as those provided by CNN Money or Bankrate.com. Are you required to wear a certain brand of clothing or maintain a certain appearance? Do you need reliable transportation to get around for work? Will you need to buy special tools and supplies? Factor in all work-related costs, including public transportation or gas, tolls, and parking fees. If you feel work-related expenses aren’t adequately covered by the salary you’re offered and the employer won’t budge, try to negotiate non-salary benefits, such as transportation, moving, and wardrobe allowances. Don’t let a company impose on your personal life for free. Some positions require you to be on-call 24/7 or to respond within a certain time-frame, even during off-hours. You may find a prospective employer imposes foreign travel restrictions, requires notification and approval before traveling, and restricts or forbids second jobs. These demands are above and beyond what is normal, and a company that makes such demands should be willing to pay an above-average salary. Compare salaries for positions that are subject to special conditions versus those that aren’t to help you negotiate. For example, adding keywords, such as “on-call” or “travel” when researching nursing positions with the Indeed.com salary search tool can reveal differences in pay. You can conduct similar comparisons using keywords to review current job ads in your field and get insight about pay, perks, and benefits. Don’t be so focused on your salary that you overlook other financial benefits, such as a sign-on bonus, incentive programs, stock options, and profit-sharing plans. Consider the company’s retirement and insurance plans, and whether the total benefits package will save you money and help you reach your financial goals. Also, be sure to take severance into consideration. 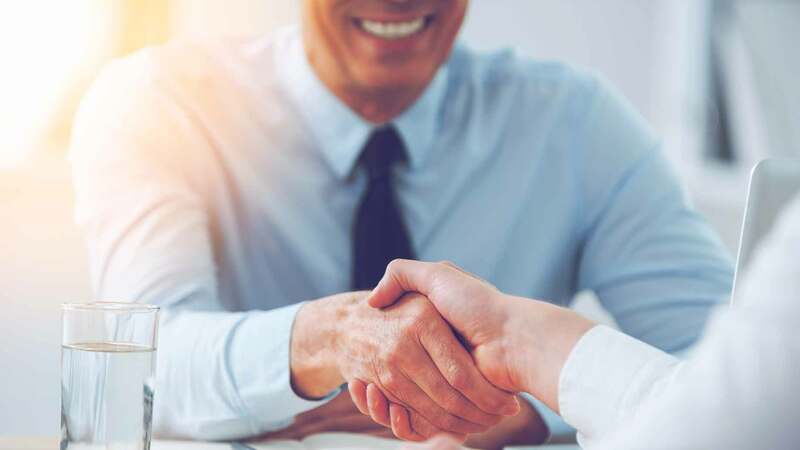 While it may seem awkward to discuss the terms for ending your employment when you’re looking for a job or seeking a promotion, it is quite normal in many fields. Don’t get blindsided by non-financial perks, such as getting an office instead of a cubicle. And when you do negotiate perks, make sure you’re getting things that really benefit you, such as the ability to telecommute or additional vacation time. Overall, the fewer benefits an employer offers, the more you should expect from your paycheck. Some companies try to dole out a heap of responsibilities and compensate workers with little paychecks and big titles. Sure, it feels good to sound important, but a job title without a matching salary is a good way to find yourself overworked and underpaid. Aim for the best title you can get, but stay focused on the money. That said, if you’re not getting the salary you want – but still would like the job – negotiate hard for an impressive title. That way, it may be easier to get a higher paying job later if you choose not to stick around. Prior to your job interview, investigate employers so you know who you’re negotiating with. Reach out to professional contacts who are familiar with the company, and use online resources such as LinkedIn and the company reviews at Glassdoor to determine how companies treat their employees, whether they have a reputation for fair compensation, and how often they give raises. Search a company’s website for its financial statements, and review news reports to find out how it’s doing financially. This research can help you determine whether a company is struggling, stingy, or being micromanaged by shareholders. If a company likes to play hardball or has a sketchy record of raises and you still plan to pursue a job, negotiate your starting salary aggressively. Otherwise, the cost of living could quickly outpace your earnings. And remember, some companies calculate raises, bonuses, and other incentives as a percentage of your salary – for example, a company might provide an automatic 2.5% raise each year. A larger starting salary increases the dollar figure of raises set as a percentage of salary. Companies strive to make decisions in their best interest, and you should do the same. The best way to get what you want it is to ask. Don’t shy away from conversations about money, and don’t talk yourself down because you’re worried how the person on the other side of the table feels or will react. Remember, negotiating requires courage, confidence, and skill, which come easier when you’ve done your homework. Consider this piece of advice from the Harvard Business Review: When you’re negotiating a salary, put all money matters – such as benefits, bonuses, and allowances – on the table at once instead of addressing the issues as a series of individual requests. Otherwise, you may gnaw away the employer’s patience and generosity. Finally, once you’re engaged in negotiations, pick your battles carefully. Avoid haggling over every detail, and don’t make the mistake of pushing negotiations further than necessary just because you’re determined to get your way. Have you recently negotiated your salary or benefits? What tips can you suggest?